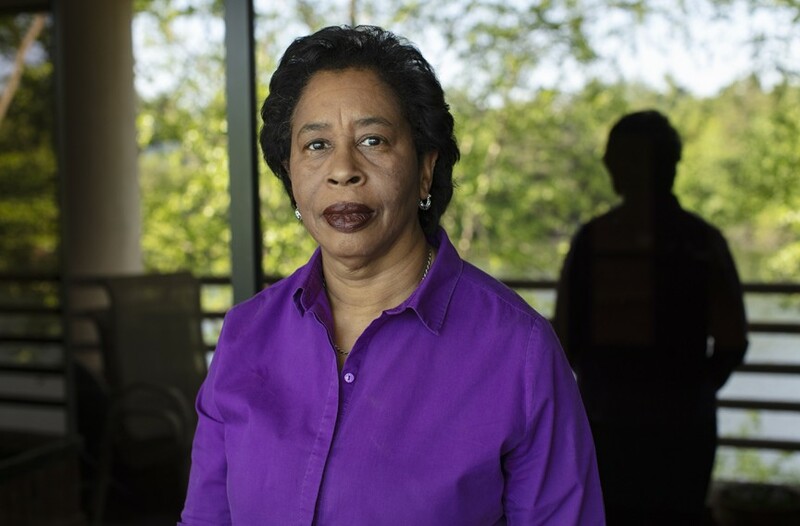 Faces and Stories: Memories from Richmond’s Civil Rights era go on display at University of Richmond | Cover Story | Style Weekly - Richmond, VA local news, arts, and events. Leonard Edloe was photographed at the Black History Museum and Cultural Center of Virginia. Every now and then when she least expects it, a familiar, terrifying vision visits the Rev. Robin Mines as she sleeps in the still of the night. In her nightmare, a menacing figure tries to repeatedly attack Mines' home. It is always clear that the intruder means to do her harm. Mines lives in the house she grew up in and she knows the dream stems from trauma she and her family experienced in the waking world some 50 years ago. The Rev. Robin D. Mines at home, Manchester, 2018. 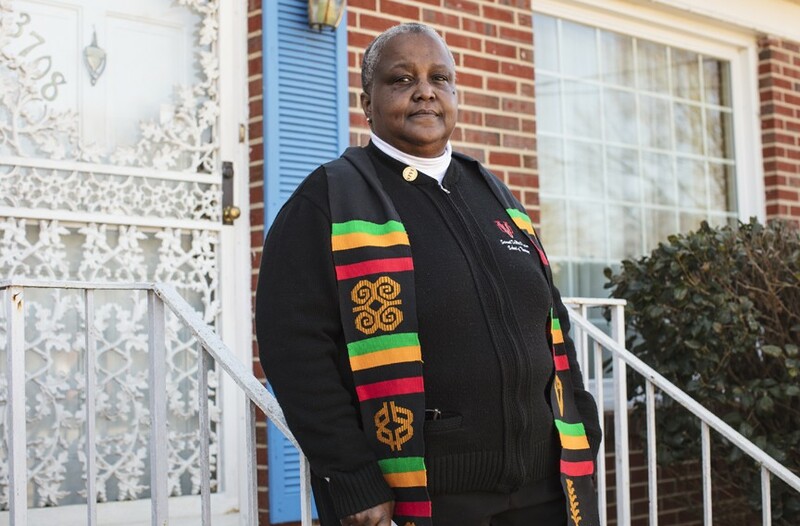 "When I was a girl, pre-teen age, my family moved from South Side to Swansboro, which at the time [the late 1960s to early 1970s] was a majority-white area," recounts Mines, an Air Force veteran and an associate minister at Hood Temple African Methodist Episcopal Zion Church in Jackson Ward. "But it was starting to transition." Mines is one of 30 Richmond residents whose images and stories comprise "Growing Up in Civil Rights Richmond: a Community Remembers," an oral history research project and portrait exhibition opening at the University of Richmond's Harnett Museum of Art on Jan. 17 and running through May 10. It presents a collection of as-told-to personal narratives by Richmonders, black and white, who were born in the turbulent Civil Rights era and came of age during a time period spanning the mid- to late 1950s to early 1970s, with a large, accompanying photograph of each person. The family's move east came after Mines' parents built a brand-new home, "which we were so proud of," she says, her voice warm with the memory. "I remember the excitement we felt about moving." Mines describes her family as extremely tight-knit and her early childhood in South Side as a sheltered one. "Our parents shielded us from a lot of things. They were most adamant about education, that we focus on our schoolwork." Her parents, however, couldn't shield their young daughter from everything. Especially after their move, which came soon after the city of Richmond annexed 23 square miles and 47,000 people from Chesterfield County. The controversial annexation followed a wave of white flight from the city from 1950 to 1960, when 10 percent of Richmond's white population departed as the city's black population steadily increased. 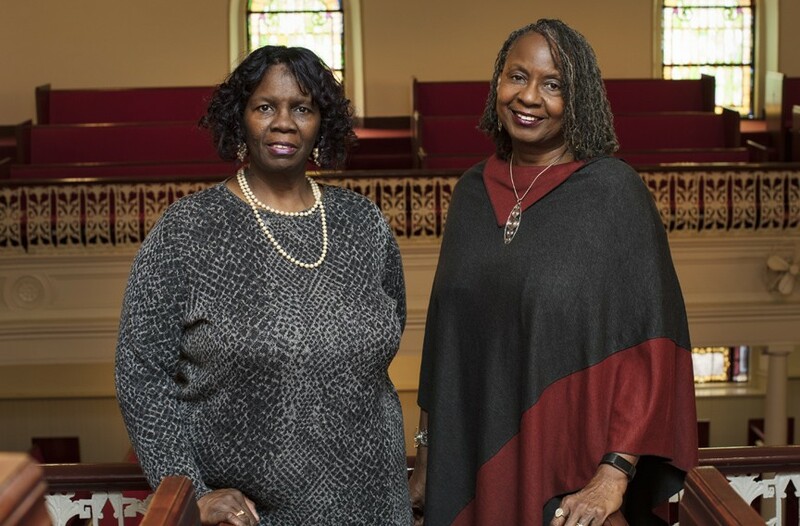 Sisters Glennys E. Fleming and Renee Fleming Mills, Ebenezer Baptist Church, 2017. Richmond's political leaders, mostly white at the time, viewed the changing demographics "with alarm, fearing that an inability to stem the growing black population would result in a black-controlled city government," write Rutledge M. Dennis and the University of Richmond's John Moeser in their 1982 book about the years-long fiasco, "The Politics of Annexation: Oligarchic Power in a Southern City." The book argues that annexation was used as a "political device to dilute black voting power," allowing "47,000 people (97 percent of whom were white), to become city residents and participate in the 1970 councilmanic election" to be held later that year. The annexation led to an extended period of political anxiety when black Richmonders such as Curtis Holt saw through the subterfuge and fought against the dominant, white structure's power play. Holt filed lawsuits opposing the constitutionality of the annexation, leading to a five-year legal war during which federal courts froze Richmond City Council elections. It would not be until March 1977 that Richmonders headed back to the polls. In that election, the city elected its first majority-black City Council, which then elected its first black mayor, Henry Marsh III. Mines' family arrived in their new neighborhood at the start of this challenging period of Richmond's history, against a national backdrop of racial unrest and violence succeeding the sit-ins and freedom rides of the previous two decades. "When we first got there, cars and pickup trucks waving Confederate flags would race up and down our street. The white boys and men inside would scream 'N-ggers, go back to Africa.' We were not welcome," Mines says. She remembers watching a crude cross blaze in her front yard, and another in her grandparents' yard next door. Michael Paul Williams at the Maggie L. Walker Memorial Plaza, 2018. The racial intimidation soon evolved into life-threatening violence. 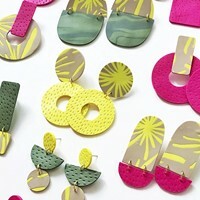 "My mom was cleaning up one Saturday morning, and she was going around the house opening up the drapes," Mines says. "I was following behind her, and all of a sudden she started crying. She had looked out one of the windows and saw bullet holes riddling the front of our home. It had been just sprayed with bullets. ... That's how I know there is a God, because we never heard a thing and a bullet never touched us." Another day, Mines peeped through her bedroom window and witnessed police brutality. "The police were beating one of our male neighbors, he lived across the street. I was a teenager then, and I had dreams that the police were going to shoot me for a long time after that. As a kid it can really mess with your head." Mines eventually left the city "because of racism" and joined the Air Force, which took her many places. She would move back into her childhood home in November 2017. One of the overarching themes of the exhibition is school desegregation, says its curator, Ashley Kistler, the former director of the Anderson Gallery at Virginia Commonwealth University. Mary White Thompson at home, Church Hill, 2018. "Much has been written about this topic. We, however, focused almost exclusively on that history as experienced by African-Americans, narratives that have historically been erased, suppressed or distorted," Kistler explains. "Our goal was to elevate those voices, those narratives. ... We wanted to be a conduit and platform for these people to share their truth." The idea behind "Growing Up in Civil Rights Richmond" was sparked about seven years ago, Kistler says, after her collaboration on an earlier project by Laura Browder, the Tyler and Alice Haynes professor of American studies at the University of Richmond and oral historian for "Growing Up in Civil Rights Richmond." "Ashley curated the portrait exhibition for my book, "When Janey Comes Marching Home,'" says Browder, who interviewed dozens of female combat veterans for that work as the Iraq War raged. "I don't have any military experience, I don't come from a military family. Sitting down with women to share their experiences as veterans, some of which they hadn't even shared with their families, was sobering. ... I learned to not at all be careless with people's stories." Beginning her role at the University of Richmond in 2010, Browder conceived another portrait exhibition: This one would be focused on the experiences of children of the Civil Rights era in Richmond. "This exhibition and catalogue were intended to create a lasting record of the voices and portraits of individuals who lived through and helped shape the Civil Rights era in Richmond," Browder writes in the more than 50 page book edited, published and printed in Richmond. "In so doing, the project is also an effort to map what was onto what is — to document, in other words, the Richmond before RVA that lives on in memory, but rarely in public view." 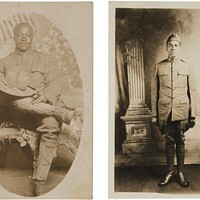 The exhibition's portraits, shot by Richmond photojournalist and educator Brian Palmer, feature in large scale and full color the faces of men and women, like Mines, who witnessed hideous manifestations of deeply imbedded racism in Richmond as the city reluctantly reckoned with a completely new way of life. 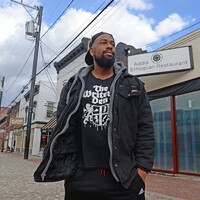 The wider point, and what Palmer says he aimed to capture through his camera, is that these same people are part of an important juncture in Richmond's ever-evolving history — their stories matter. "It felt like this project had fallen from heaven, in the sense of my cemetery work," says Palmer, who with his wife Erin Halloway Palmer, has dedicated years of his time and talent to restoring Richmond's historic black East End Cemetery. The remains of more than 17,000 black Richmond residents rest in the burial ground, which opened in 1897. Besides the physical labor of clearing debris and quick-growing kudzu from the graveyard, Palmer also took pictures of tombstones uncovered during their work, and methodically researched the people to whom they belonged, piecing together the stories of African-American lawyers, ministers, teachers, cooks and tobacco stemmers — a veritable cross section of 20th century black Richmond, all of them long dead. "We're trying to reclaim the physical space, but we're also trying to reclaim the history," Palmer says. "And history starts with people's stories." Kistler and Browder approached Palmer about collaborating on the project nearly three years ago. 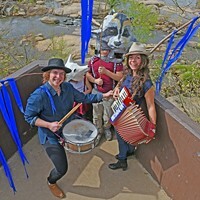 As they presented the concept to him over coffee at Sub Rosa in Church Hill, Palmer made a connection. Deborah Taylor, Franklin Military Academy (formerly East End High School), 2017. "All these people [interred at East End] are dead, right? So, it's hard to make that history come alive, although we are trying because we believe it's important. And then, here comes this project about a critical period in our history, the desegregation of schools — something I benefitted from personally — and these people are living and telling their own stories. ... I saw it as an opportunity to meet the people who are part of this history, which is directly connected to the history of the cemetery. I'm getting to participate in the next chapter of this history." Palmer's work has appeared in prominent publications including the New York Times, the Washington Post and the Smithsonian Magazine. Still, he admits the photographic process of "Growing Up in Civil Rights Richmond" stretched him. "It has challenged me immensely in that these portraits were done in a way that I am not used to making images," Palmer says. In his East End work, Palmer photographs mostly inanimate objects like headstones and landscape shots of the graveyard's verdant grounds. In shifting his focus to making portrait of people for this project, Palmer says it was essential to form a connection with each person. "Many of the photos are taken close-range, framed as head-and-shoulders shots. There is a certain level of intimacy and trust needed to do that well," he says. All the portraits were shot at eye level or a bit below, so that "the viewer must look into each person's eyes." Even if they were challenging, Palmer's photographs offer a striking visual effect. Inside the University of Richmond's small art museum, men and women frozen within frames silently appraise viewers from the ivory gallery walls. Some of them wear smiles, however hesitant. Others appear serious, staring straight at the viewer. In his portrait, Leonard Edloe appears in a dark pinstripe suit accented with a stylish, ruby-colored necktie. 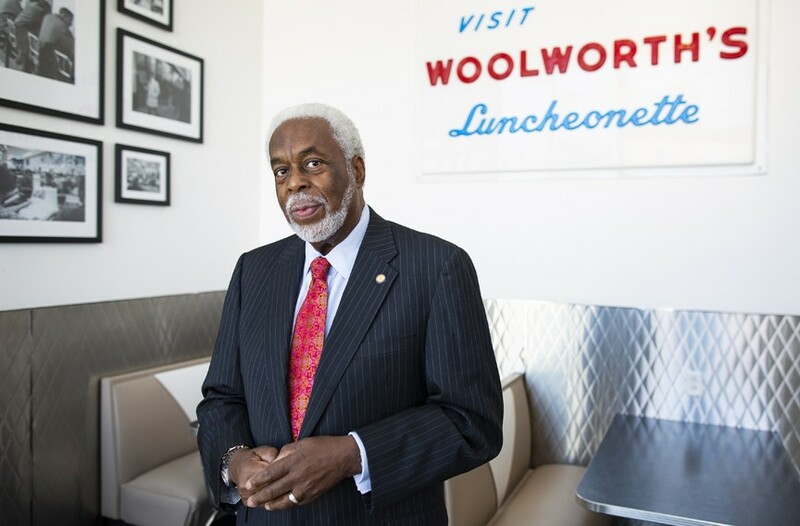 Palmer photographed Edloe inside the Black History Museum and Cultural Center of Virginia, a retro sign imploring all to "Visit Woolworth's Luncheonette" hovering in the background. Edloe's snowy hair calls up all the adages about white strands signaling wisdom, something in his facial expression and his eyes suggest he has a story to tell. Yvonne A. Mimms-Evans, First Baptist of South Richmond, 2017. "When I was growing up, my daddy couldn't be a member of the state association or national associations of pharmacists, because of racial prejudice," Edloe says. 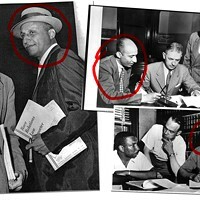 Edloe's father, the late Leonard Lacy Edloe, bought and began operating Harrington's Pharmacy in Church Hill in 1945, and two years later co-founded the Black Pharmacy Association. Edloe says the organization was designed to foster professional connections between African-American pharmacists and was a response to being locked out of the white-only pharmacy groups. There was no shortage of African-American professionals in the Richmond of Edloe's youth, he says, a perspective that runs parallel to the city's and nation's long, troubled history of depriving black people equal access to educational and economic opportunities. The black doctors, dentists and lawyers Edloe saw in Richmond — "Dr. Felix Brown, Dr. Francis Foster, many, many others" — reflected Richmond's legacy of "black communities that were fairly self-sufficient and great places to grow up" prior to integration, Edloe says. "We had our own banks, our own health care, world-class entertainment venues. Our communities were very connected, and we took care of our own needs." Many of the most widely shared and taught historical narratives about Richmond have excluded or downplayed these and other important parts of its story, Edloe says. 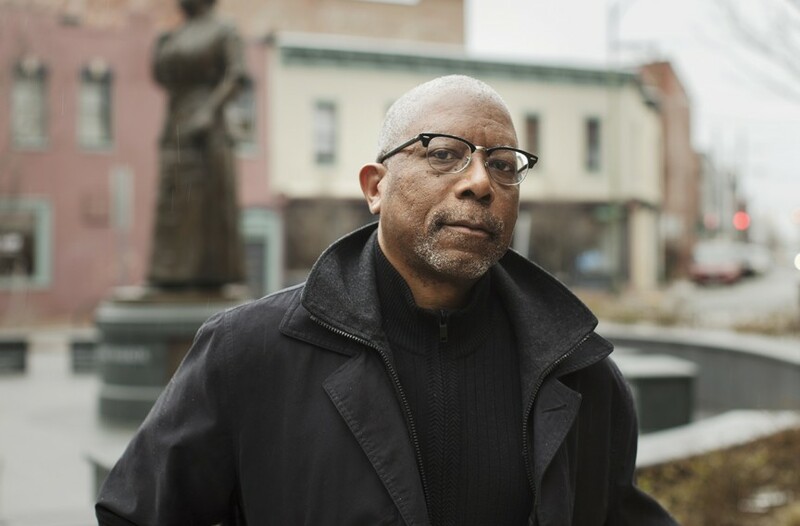 In his exhibition narrative, Edloe recounts his father's experience paying poll taxes. Following Reconstruction, Virginia and "many southern states passed poll taxes in an effort to keep African-Americans from voting. As a result, many African Americans (and other impoverished citizens) who could not afford to pay the poll tax were disfranchised and deprived of their rights as citizens," states an entry by Brent Tarter in Encyclopedia Virginia. 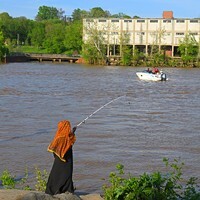 "My father ingrained that thing in me about the poll tax," reads Edloe's exhibition narrative. "$1.57 was a whole lot of money back then, but he made the commitment that he was going to be able to vote, and his wife was going to be able to vote." Witnessing that racial inequality firsthand in his Barton Heights home, and the passage of the Voting Rights Act of 1965 which made it a violation of federal law to impose poll taxes as a pre-voting qualifier, pushed young Edloe into action. "After that, I helped register a lot of people to vote," Edloe says. "Especially, black people." In addition to portraits of people, Palmer photographed area sites significant to Richmond's civil rights and African-American history, such as George Wythe High School and East End Cemetery. The Virginia State Capitol building — a looming, white monolith — is depicted in one photo, a tree's shadowy silhouette shading the grass in the foreground. Similarly, Richmond's racist, segregation-era laws still cast a shadow over that time in city's history and the lives of those who lived through it. 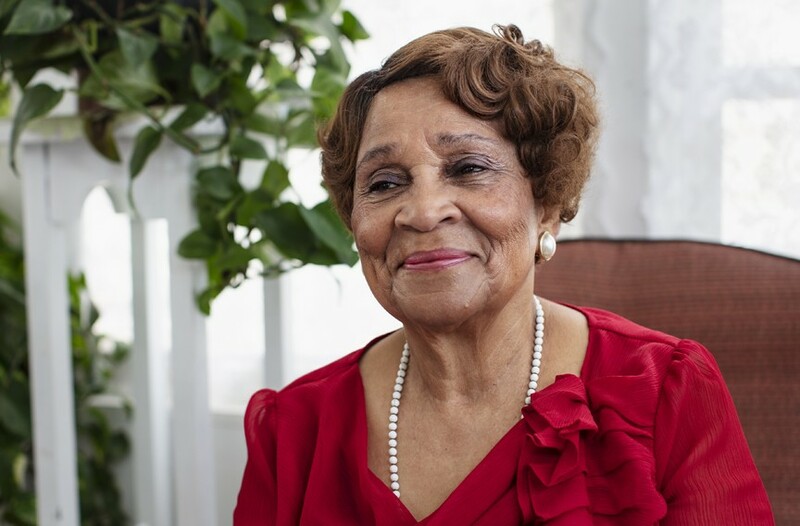 Myra Smith, president and chief executive of Leadership Metro Richmond, uses the word "fantastic" to describe her educational experience at Richmond Public Schools prior to desegregation. "My parents were involved in the PTA at Amelia Street School, where I attended. I would see my teachers at church, too. The community was very intertwined and supportive." Smith's narrative and portrait are part of the exhibition. In Palmer's photo, Smith wears a brilliant purple blouse and a straightforward gaze. "Busing changed a lot of that," she says simply. Busing programs, first enacted in Richmond in 1970 and expanded in 1972, were designed so that "white children from the counties would be bused into the city and black children from the city would be sent into the counties," according to the Virginia Museum of History and Culture. Palmer photographed Mark Merhige at his Manakin-Sabot home, standing in a field blanketed with fallen leaves. Merhige is the son of the federal judge whose unpopular order commenced busing. "You know, people spat on my dad in restaurants. It was ugly, but that came with the territory," Merhige's narrative reads. 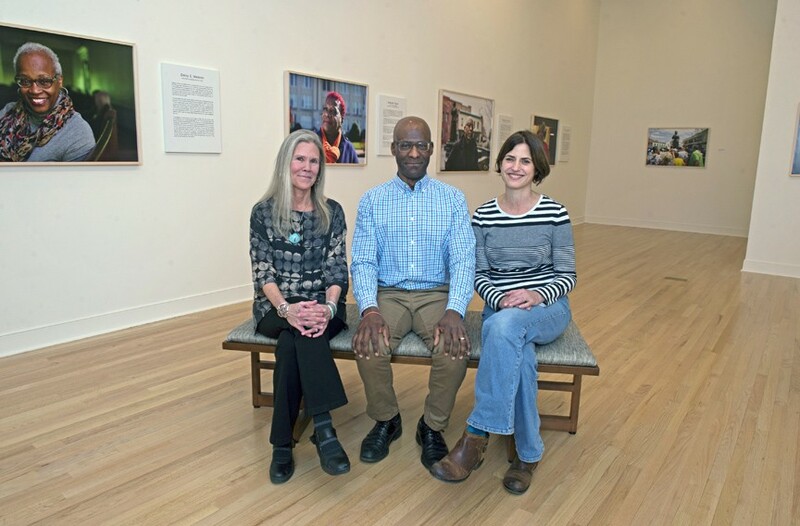 Curator and VCU associate professor Ashley Kistler, photojournalist Brian Palmer and University of Richmond professor and oral historian Laura Crowder stand in the Joel and Lila Harnett Museum of Art at the University of Richmond’s Modlin Center for the Arts. Instead of alleviating segregation in schools, busing worsened it, as panicked white parents enrolled their children in private schools and their families left the city in droves. 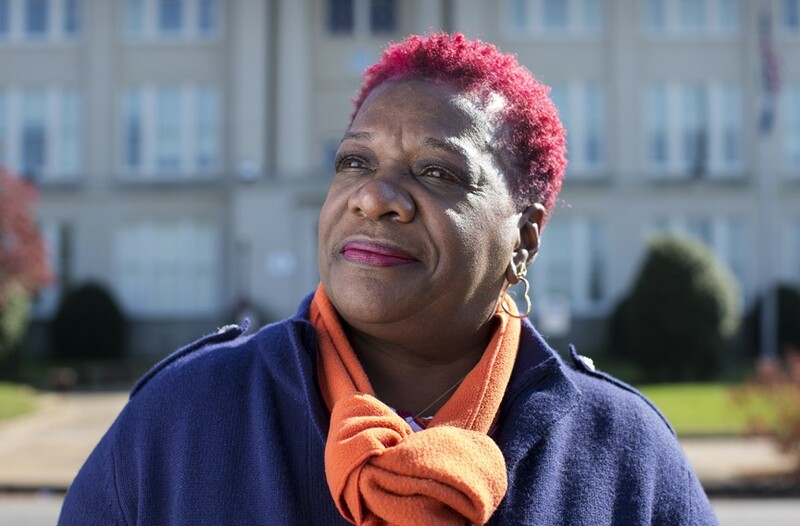 For black students who endured busing programs, like Mines, the process was often difficult. Mines said in her narrative that after being packed into a bus "like sardines" with other black kids from her neighborhood and sent to integrate white schools, she feared racial hostility and violence from whites. After finally arriving in her integrated classroom, Mines battled a personal "stigma of thinking that white kids were smarter than us. I had an English teacher who said some hateful things, which caused you to shut down. During that whole period, I barely hung on. I don't think much learning went on. I don't think a lot of us thought we'd live to be adults." By the time Richmond stopped busing in the early 1970s, schools were once again heavily segregated, with Richmond's public schools serving mostly black students. Today, about 66 percent of the students attending the Richmond Public Schools are African-American. "We're back to segregated schools with a lack of resources," says Smith in an exasperated tone. "It's so cyclical! We've already been through this, and we have not learned from our past in that regard." Ultimately, this exhibition is a vehicle for "spurring necessary, if uncomfortable, conversations," Brower says. "While these stories often have to do with events that happened in the late '50s and early '60s, the reasons the people were protesting then are still reasons to protest today. We still have such incredible inequity in terms of education, health outcomes, nutrition, environmental justice, housing, economic opportunity, and the list goes on. I think it's very easy to lose sight of this, if we only present Richmond as the buzzy, creative hub of RVA. All of these inequities are interrelated, and they all come from the same Richmond history." There is a healing power in telling these stories, Smith says, and expanding the city's historical narrative contextualizes and informs the path forward. "We cannot bury our past. Instead, I think we need to honor our full story. My hope is that it aids us in talking about where we need to go. The story continues." 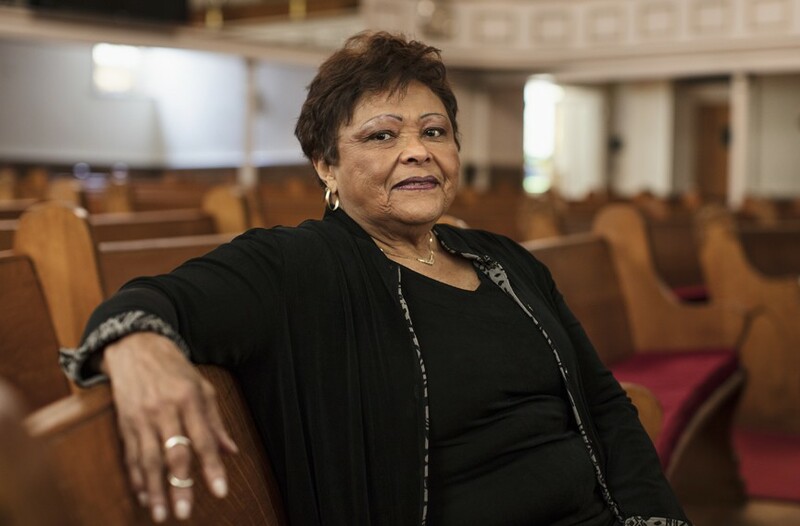 "Growing Up in Civil Rights Richmond: a Community Remembers" runs Jan. 17 to May 10 at the Joel and Lila Harnett Museum of Art at the University of Richmond's Modlin Center for the Arts. A preview will be held Jan. 16 at 7 p.m. and the exhibit is open on Martin Luther King Day. There will be a panel Jan. 27 at 2 p.m. Free. museums.richmond.edu.